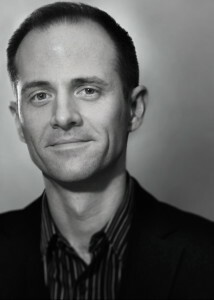 Dr. David Fryling is associate professor of music and director of choral studies at Hofstra University, where he oversees the choral department, conducts the select Hofstra Chorale and Hofstra Chamber Choir, and teaches beginning and advanced studies in choral conducting, as well as graduate-level workshops in choral conducting and choral literature. 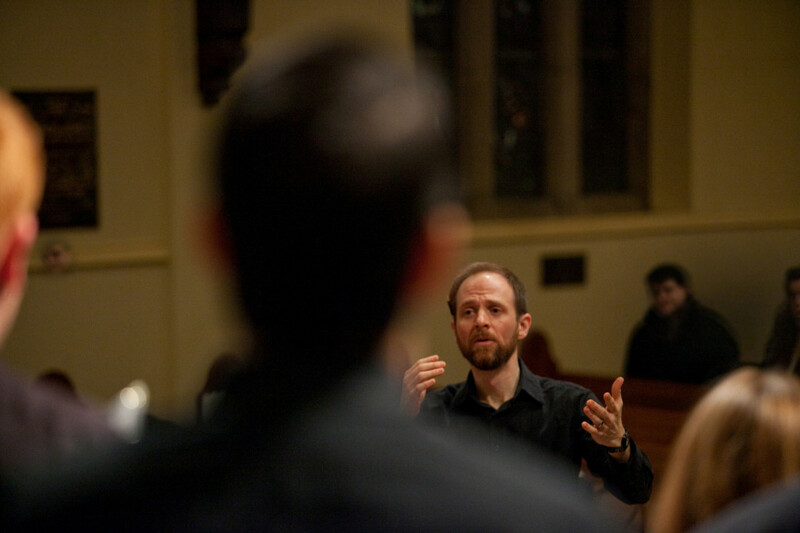 Dr. Fryling is also an adjunct professor in the Hofstra School of Education, where he supervises choral music education student teachers during their field placement. In addition to these teaching and conducting responsibilities, he has served for many years as a Repertoire & Standards chair and a member of conference planning boards at both the state and divisional levels for the American Choral Directors Association (ACDA); he currently serves as president-elect for the Eastern Division. 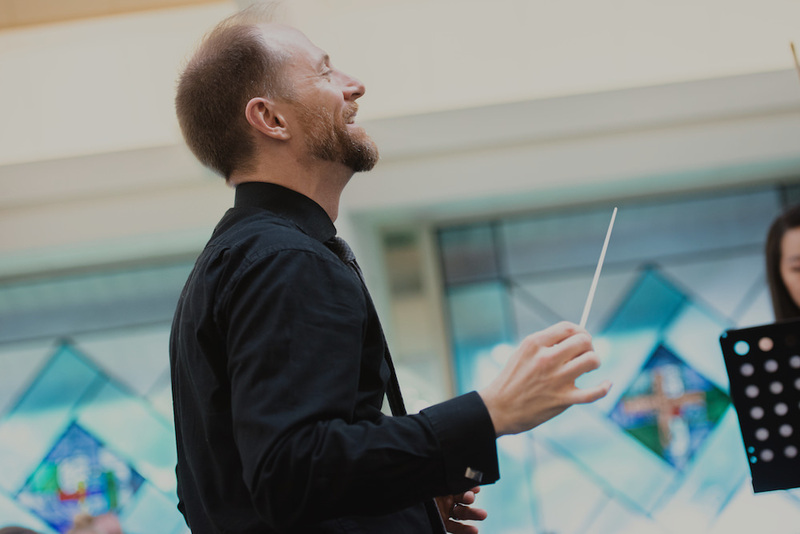 For seven summers, Dr. Fryling was vocal area coordinator at the Interlochen Center for the Arts in Michigan, serving as conductor and music director of the World Youth Honors Choir, as well as the Festival Choir & Orchestra. These two groups formed the core of the high school choral experience at this intensive six-week arts camp, which attracts more than 2,000 high school-aged visual and performing artists from around the world to the woods of northern Michigan every summer to live, learn and perform with an unparalleled group of peers and educators. Major works conducted over his tenure there include Brahms’ Nänie, Pärt’s Credo, Vaughan Williams’ Dona Nobis Pacem, Orff’s Carmina Burana, Brahms’ Ein Deutsches Requiem, Duruflé’s Requiem, Poulenc’s Gloria, and Mozart’s “Coronation” Mass in C.
Before beginning his post at Hofstra, Dr. Fryling served as music director and conductor of the University of Michigan Arts Chorale and assistant conductor of the Michigan Chamber Singers, University Choir, and the internationally acclaimed Michigan Men’s Glee Club. 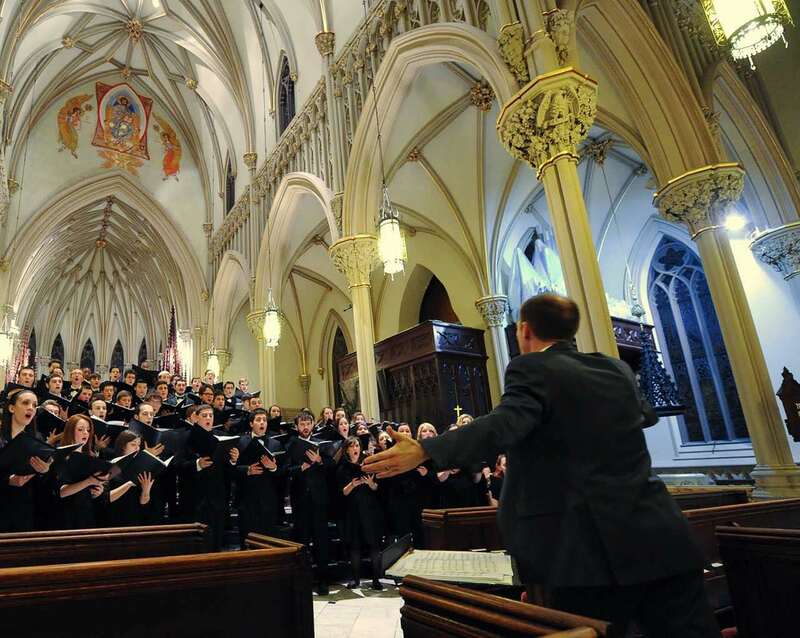 While in Ann Arbor, he was also the music director and conductor of the Michigan Youth Women’s Chorus, a year-round all-state honors choir composed of select high school sopranos and altos from across Michigan. 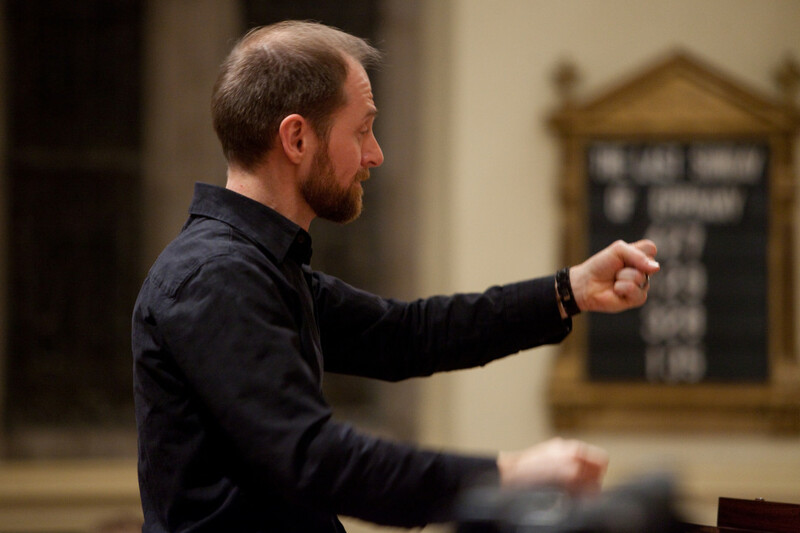 An engaging and energetic guest conductor, clinician and adjudicator of professional, community, and public school choirs, Dr. Fryling’s recent engagements include numerous all-state, regional, district, and county honor choir festivals, master classes, and workshops in New York, New Jersey, Connecticut, Pennsylvania, Michigan, Louisiana, Texas, Utah and Alaska. 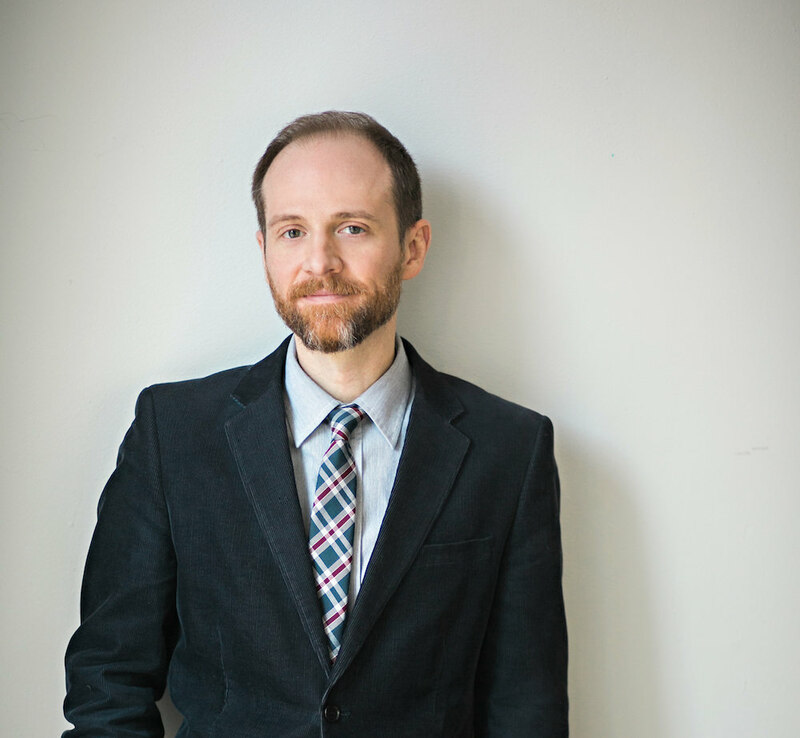 He has been music director and conductor of recent Hofstra Opera Theater productions of Purcell’s Dido and Aeneas, Tchaikovsky’s Iolanthe, and Poulenc’s Dialogues Des Carmelites, and has served as chorus master of numerous opera productions both at Hofstra and at the University of Michigan. 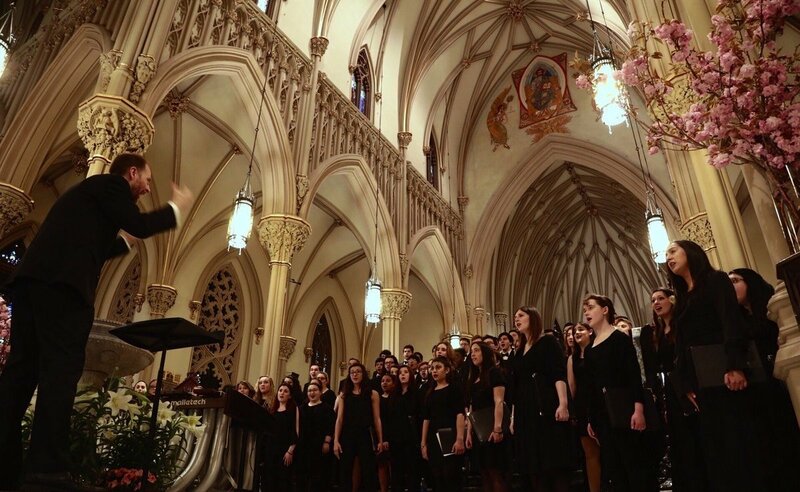 In addition to his activities as a conductor, he maintains a career as a professional choral singer in the greater New York metropolitan area.